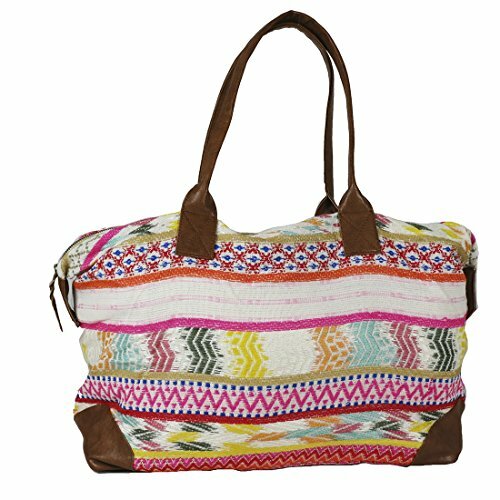 Sturdy cotton blend fabric zip duffle with a white, pink, and multicolor tribal design. Snaps at sides open to give you even more room. Canvas lined, with inside zip and slip pockets. Brown leather handles, zipper pull and trim. If you have any questions about this product by Raj Imports, contact us by completing and submitting the form below. If you are looking for a specif part number, please include it with your message.